No one likes to think about death. However, it is important to be prepared when the time comes so that our loved ones have a clear, irrefutable understand of our final wishes. An estate plan ensures that upon your death, your personal and business affairs are resolved as you desired. Specifically, most estate plans provide written instructions that describe how a person wants their money and property to be dispersed and to whom. A plan may also provide details on other crucial factors, such as what funeral arrangements are appropriate and if a guardian needs to be appointed for any minor children. Learn more about estate planning, what a plan should include, and why you should hire trust & estate attorneys. In common law, an estate is a person’s net worth. It generally includes all property, possessions, and other assets that the person owns or controls. An estate can also include bank accounts, real estate, life insurance policies, stocks and other securities, as well as personal property like artwork, jewelry, and vehicles. Likewise, an estate may comprise a person’s debts, such as car loans, mortgages, and credit card debt. What Does Estate Planning Include? Estate planning is the act of making a plan in advance that provides many details of how you want things handled in your absence. Such plans may include health care instructions if you should become disabled before you pass. And, if you have minor children, you may also consider naming a guardian whom you trust to care for them and to manage any assets they may inherit. You may choose to provide for family members or loved ones who may require future protection from divorce or creditors. You can also provide for loved ones with special needs without causing them to lose their government benefits. 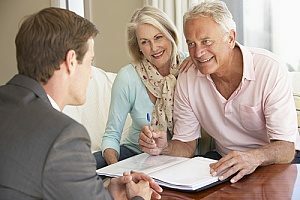 Good estate planning can also include other things, too, such as life insurance provided to your family at your death, or the transfer of your business at your disability, retirement, or death. Estate planning can also help minimize taxes, unnecessary legal fees, and court costs. As situations often change over your lifetime, you have the flexibility to alter or update your estate plan as needed. An estate plan begins with a will or living trust. While it does not prevent the probate process, a will does state your final instructions. However, any assets that are titled in your name must go through a probate process before being distributed legally to your heirs. On average, this process can take at least nine months and sometimes up to two years or more to complete. However, not all items go to probate. If an item or property was jointly-owned, or if you have assets that allow you to name a beneficiary, these resources will be transferred to the owner or beneficiary without going through the probate process. A living trust is often a preferred option for families who want to avoid probate. With a living trust, assets can remain in your trust and be managed by a selected person until your beneficiaries become of age or reach the designated age stated in the trust. Though a living trust can be more expensive than a will, it offers numerous benefits such as the avoidance of court interference. It is important to realize that federal and state taxes may be applied to an estate, significantly reducing its value before asset distributions can be made. Although estate planning is no fun to consider, the decisions you make in your will or living trust can have a dramatic effect on your loved ones. Estate planning can help ensure that your wealth does not go to unintended beneficiaries and can also help ensure that your family remains protected, especially if you have young children. In your will, you can dictate who will care for your children, how they should be cared for, and how your wealth will be divided when your children become of age. Estate planning is also important if you wish to spare your loved ones the tax burden related to federal and state estate and inheritance taxes. Most importantly, a solid estate plan can help reduce the likelihood of family squabbles after you are gone. 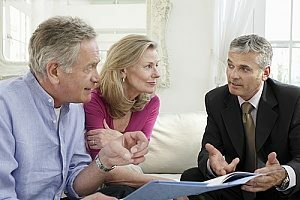 Developing an estate plan can be a complex process. Fortunately, trust & estate attorneys are available to help you draft and implement an estate plan based on estate law. Contact a trust & estate attorney today at Odin, Feldman, & Pittleman to learn more about estate planning and your specific case.